Batangas is one of the provinces that you should look forward to in CALABARZON. The capital of this province is Batangas City and is surrounded by provinces like Quezon, Cavite and Laguna. If you are residing in Manila, this is the closest place you can go if you want to experience nature and other scenic spots. In this province you can find the famous Taal Volcano which is the second most active volcano in the country. Batangas was previously known as Kumintang. History tells that a strong eruption from the Taal Volcano destroyed an important part of the town that caused residents to transfer to Bonbon which is now called Taal. There is this lake called Taal Lake which is a part of Batangas wherein people fish for a living. Residents make use of a raft called Batangan both for transport and fishing. 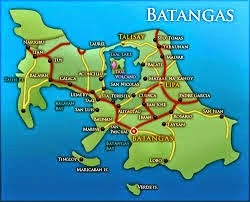 This is where the name Batangas originated. The language of this province is an old tagalog with an accent. Thus, they are known as Batangenos. This place is famous for balisong, a knife of the natives. And this is commercialized adding income both to the province and individuals. Another common product of the place is pineapple. They make use of the fibers of this fruit to make Barong Tagalog which is Philippine’s national costume for men. There are other products coming from this province that are exported abroad both from land and water resources. If you would like to go to Batangas, you can travel by land from Manila. You can visit the Basilica de San Martin in Taal if you are into old churches with Spanish influence. There are so many museums also in the place that is why if you are into arts and literature, this is the best destination for you. The Museo ng Katipunan, Apolinario Shrine, Miguel Malvar Hospital and Museo ng Batangas at Aklatang Panlalawigan are the places to go once you are already in this beautiful place. Batangas is truly one of Philippines’ treasures in terms of history, commerce and culture. You can also unwind with its beautiful beaches and other bodies of water.